So being the Token Yank has made me more excited about my American heritage, which is why I’m in not one, but two, NFL fantasy football leagues. And to spread the joy, I’ve recruited one of my British friends into one, which should be fun. 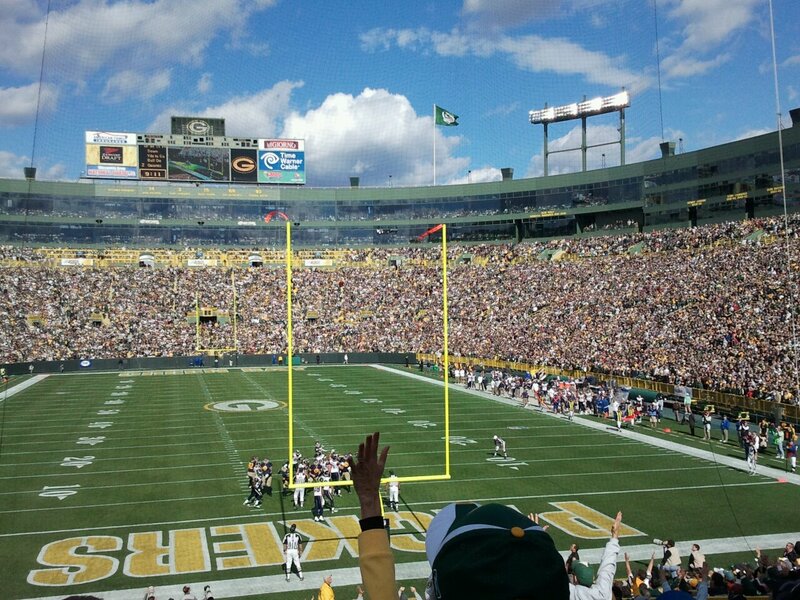 I’ve been a Packers fan since I was born (my Dad’s from Green Bay) and this is my third year doing fantasy football. 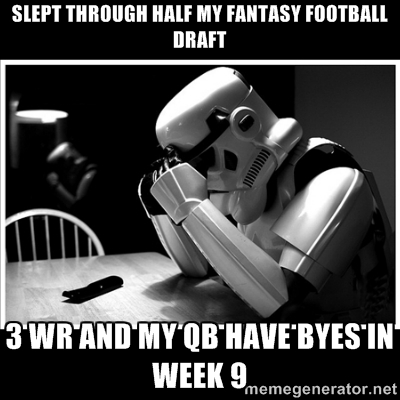 Now let me be real with you, I am no expert at football or fantasy football. I don’t research players before the draft and pretty much just pick the top-ranked players each round (starting with QB, RB, and WR) and people I’ve actually heard of. I DO remember to check my line-up every week and occasionally do more than swap players who have injuries or bye weeks. Yesterday was my second draft. Tragedy struck. Really, I blame the time difference. So Singapore time, the draft was at 6 a.m. and I didn’t quite wake up by then lol, so nfl.com auto-draft FTW…or not quite. 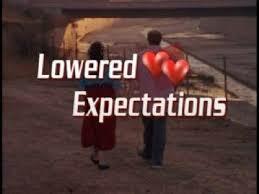 I believe the graphic above explains the outcome and directly below how I feel. Whoever plays me in Week 9, consider this your birthday present. So my husband’s gone back to Wisconsin for a week, leaving me alone in Singapore feeling all homesick. Really, I’m just being pathetic and whiny so don’t mind me 😛 But anyway, it got me looking through my old Facebook photos and they have a new meaning now that I’m far from home. So below you’ll find a few completely random pictures of things I’ve decided I miss today, besides the obvious friends and family. 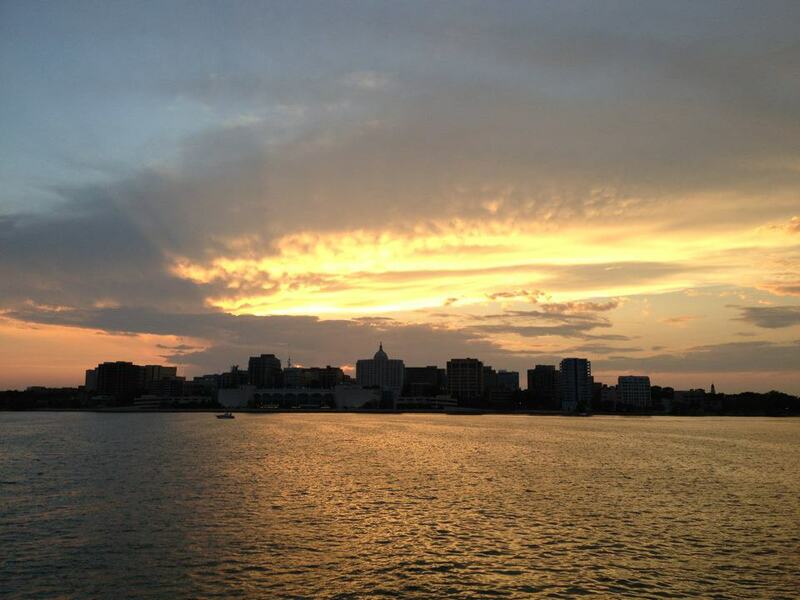 Good old Mad-town, Madison, Wisconsin, taken from Lake Monona. The Overture Center, the state Capitol poking up out over it. 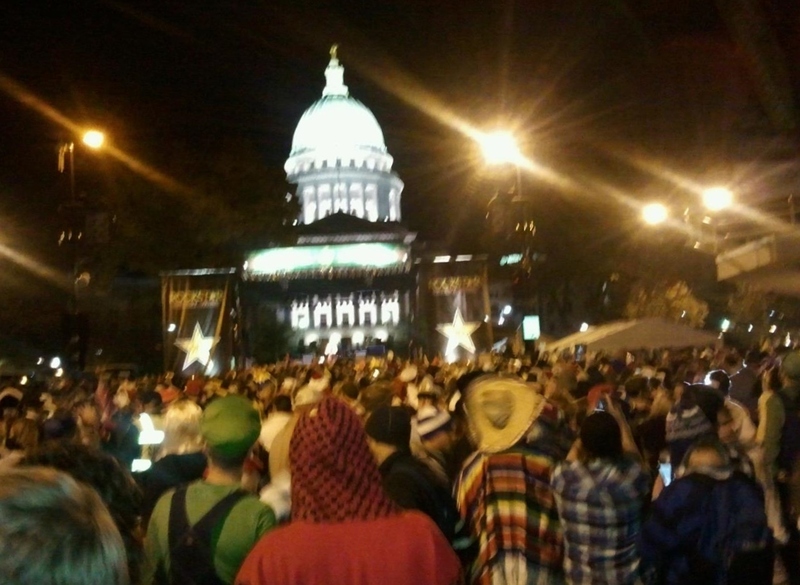 Madison on Halloween with the State Capitol. There used to be the occasional drunken riot as 100,000+ people descended onto State Street. It’s a bit calmer now. One of the fun parts… Trying to stay warm while walking around outside for hours when it’s maybe 40 degrees Fahrenheit. Maybe. But we’re from Wisconsin. We don’t care about no cold. We’ve got liquid blankets for that. 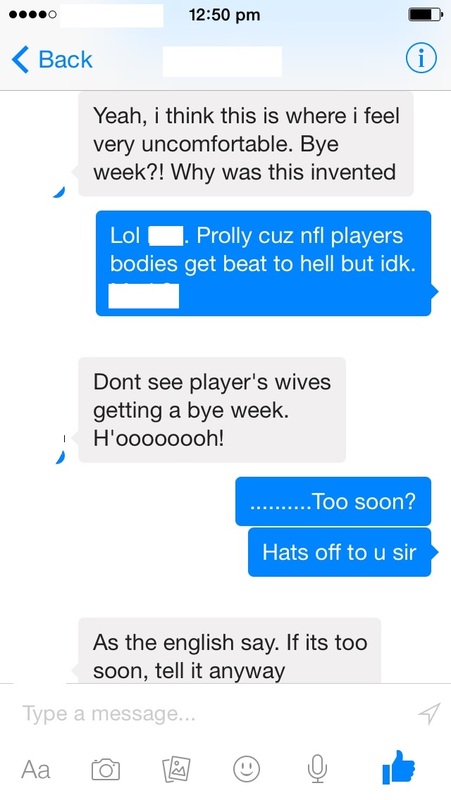 *Sigh* nobody cares about American football over here. It is a ridiculously confusing sport though. 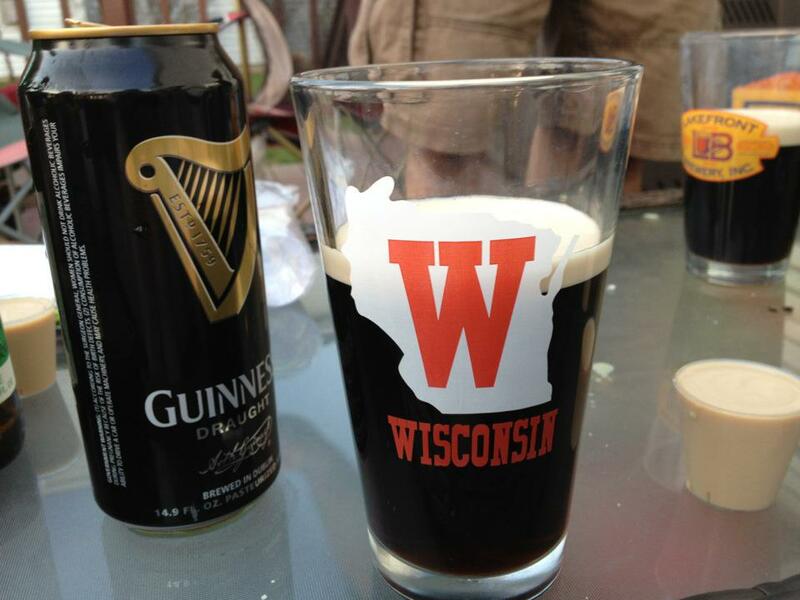 So in Wisconsin, we love our beer and cheese. We make a lot of both. Milwaukee alone historically has: Miller, Pabst, Schlitz, Old Milwaukee, Milwaukee’s Best, and Blatz. Did I miss one? And now we have tons of amazing microbreweries popping up. We have more bars than grocery stores, fancy bars, corner bars, bars converted from houses and barns. And our bars know how to do taps. Psh one or two beers on tap? That’s baby stuff. 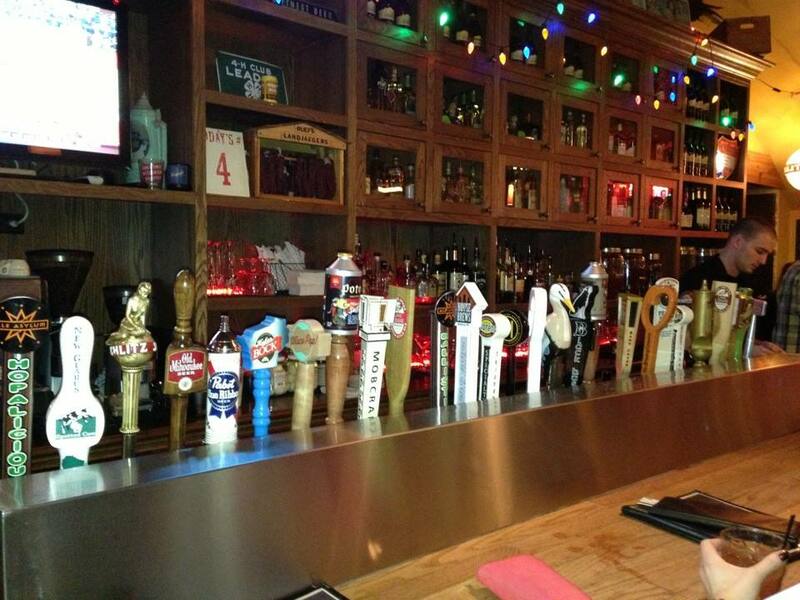 Here’s a sample of 30 taps at the Old Fashioned in Madison. I think they have even more on the other side of the bar. Mostly microbrews from around Wisconsin. Last time I was home, we stopped at a bar with over 50 beers on tap! Like I said, we make cheese. A lot of cheese. 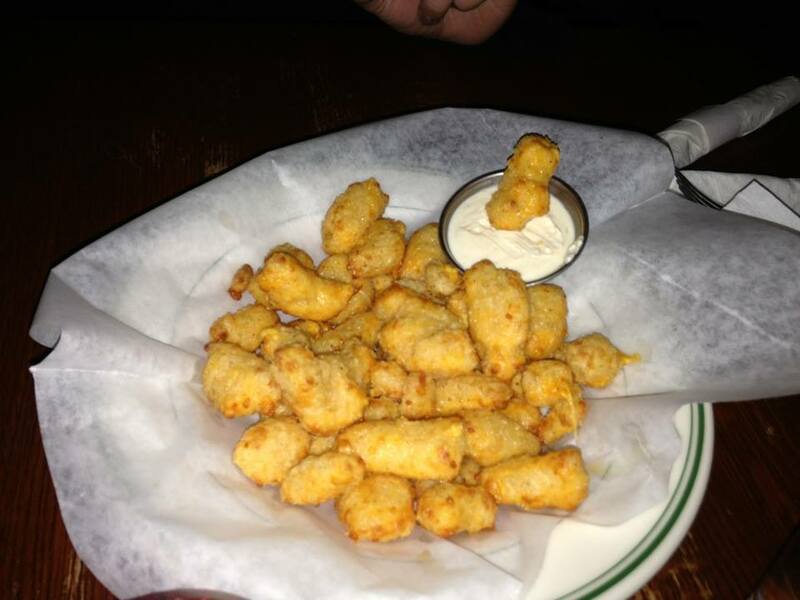 We may not make fancy people cheese, but we have cheese curds. Yeah, take that world. They are delicious beer battered and deep fried or fresh and squeaky. In my U.S. and world travels, I’ve encountered deep-fried pizza and Mars Bars and burgers and God knows what else, but we’re the only ones I’ve found that deep fry our cheese. We’re also the only place in the U.S. that makes Limburger cheese. Monroe, Wisconsin. Smells like stinky feet and that’s exactly what it tastes like. Oh, and also the people of Wisconsin are pretty amazing, too 🙂 Now I know we have our own Wisconsin culture. Have you ever lived abroad or in place far from home? What did you miss the most? What did you do when you felt homesick?